Tolomeo Pinza by Artemide is a convenient and elegant clip spot that can be attached above a desk, by the bed or onto a shelf. 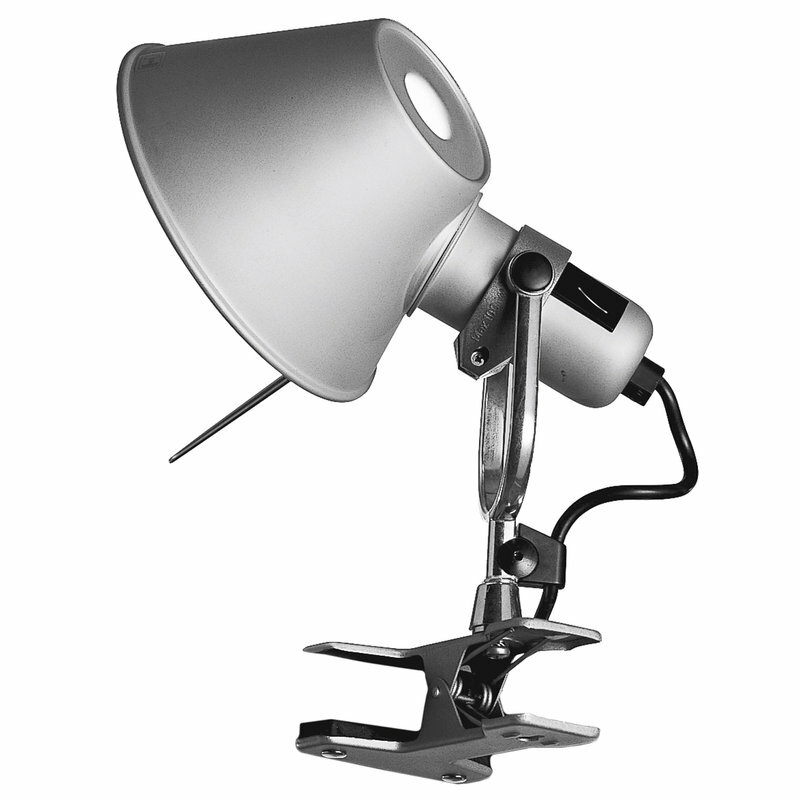 Tolomeo Pinza has an aluminium shade and steel clip, and you can easily alter the direction of the light by rotating the lamp. The lightweight Tolomeo collection by Michele De Lucchi and Giancarlo Fassina won the Compasso d'Oro award for Italian industrial design in 1989. It was credited with having achieved the perfect balance between design and engineering.